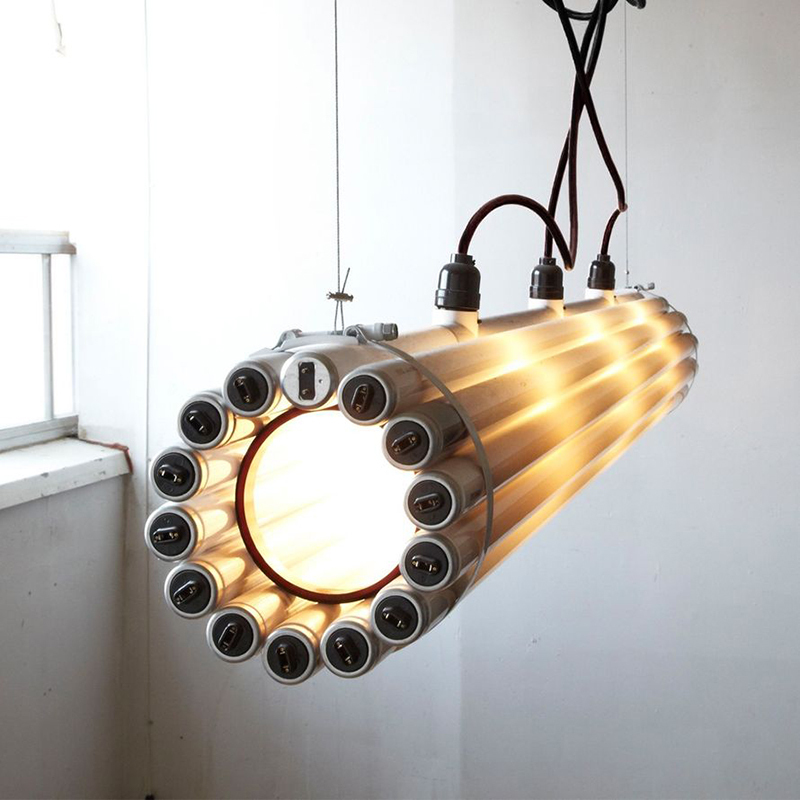 The Recycled Tube Light by Canadian design studio Castor is a great example of upcycling done right. Using recycled materials—burnt-out fluorescent tube lights—in an unexpected, innovative way, it challenges our notions of waste. The circularly arranged fluorescent bulbs have been reclaimed from architecturally significant buildings in Canada—like the Mies van der Rohe’s TD Tower, Toronto’s Old City Hall and the University of Toronto. Photo courtesy of Matter. 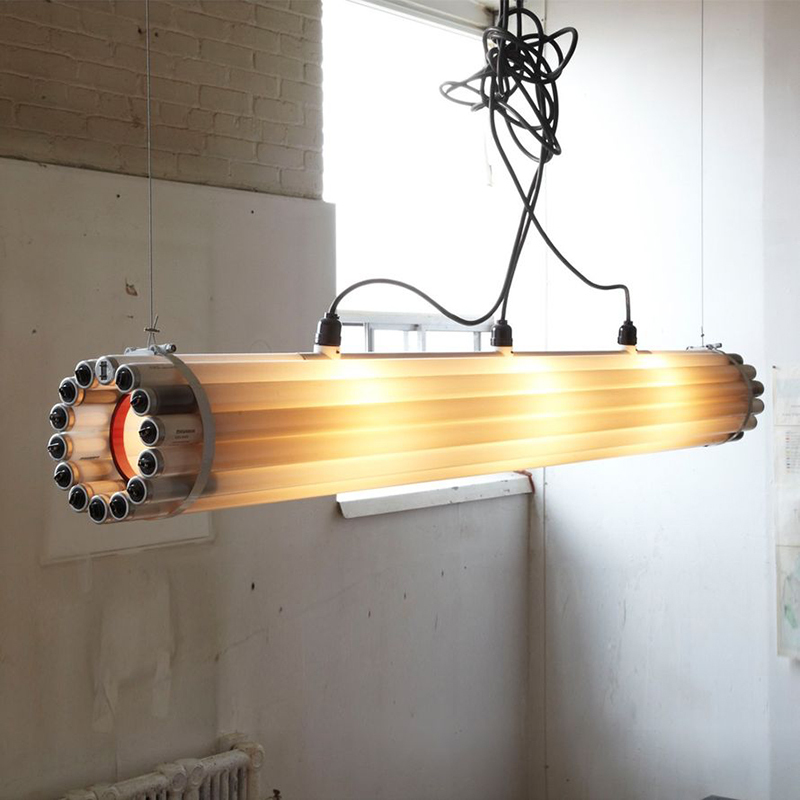 Made from recycled fluorescent bulbs, steel, rubber and hardware, the Recycled Tube Light measures 8” x 69” and is a great example of creative upcycling. Photo courtesy of Matter. The fluorescent tubes are lit from the inside, using centrally placed (functioning) bulbs, giving off a soft, warm light. Photo courtesy of Matter. The fluorescent bulbs have been reclaimed from architecturally significant buildings in Canada, such as the TD Tower designed by Mies van der Rohe, Toronto’s Old City Hall and the University of Toronto. The fluorescent tubes are arranged in a circle formation and are lit from the inside, using centrally placed (functioning) bulbs. 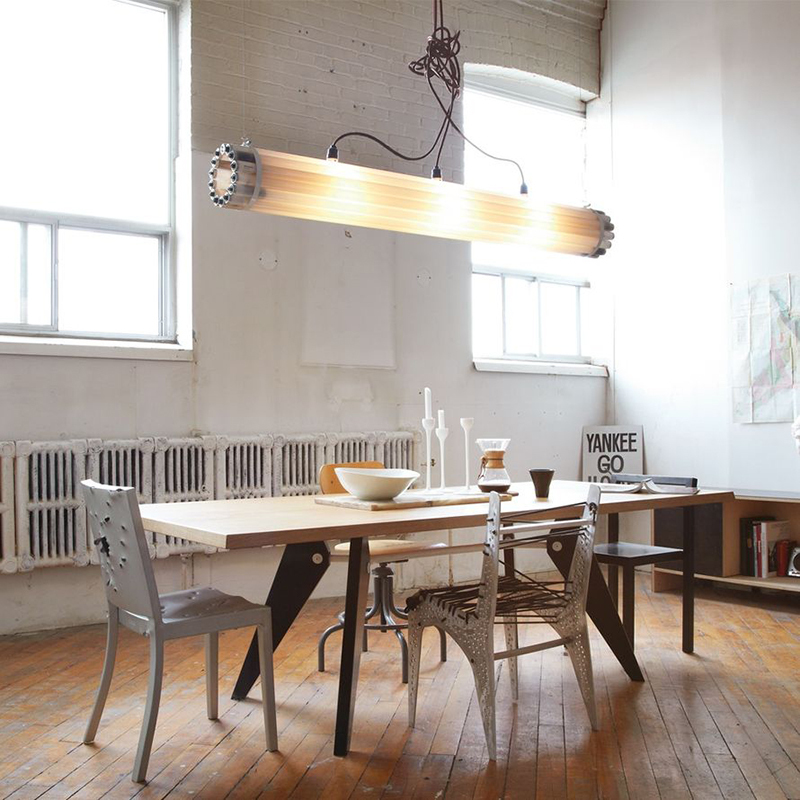 The light that shines through is warm and soft and perfectly suited to lending an eclectic yet friendly industrial edge to any space. Available at Matter for $2,950.